We only have only 16 Tents at Big Game Camp - Wilpattu and fast filling. You may send your expression of interest or book instantly using our online booking engine. Big Game Safaris Wilpattu is visited by elephants and has a very rich birdlife. It’s located closer to the southern boundary of Wilpattu National Park, adjoining a lake, and is surrounded by a bush forest. Enjoy alfresco meals near the lake, surrounded by the serenity of nature. The distance between the entrance of the Park and the campsite is a mere 7km, and takes only 5 to 10 minutes to get there. As this campsite is located just bordering a lake closer to the Park’s boundary, it feels more like living inside the park. There is plenty of wildlife within the campsite wandering across from the Park itself. We offer a unique Wilpattu safari with experienced drivers and naturalists, expert in all things wild. The Wilpattu National Park safari drive is about 7km, and takes about 5 – 10 minutes in a safari jeep. You will journey past paddy fields and farmland, as this area is home to several small villages. The land has an important feature known as ‘Villus’, which is a complex of wetlands, nourishing a wide variety of animal and plant life, and is therefore vital to the wildlife of the area. The Wilpattu National Park contains a large population of Sri Lankan Leopards, Sri Lankan Elephants, and other attractive wildlife of Sri Lanka. If you are visiting in May / June, you might even see Sri Lankan Sloth Bears eating fruit off the top branches of the giant Palu Trees which are scattered throughout the Wilpattu National Park Sri Lanka! Those who wish to do both morning and evening safaris, have the option of going back to the camp to have an exquisite lunch and return in time for the evening safari. Alternatively, you may extend the morning safari to a full day safari. We are happy to pack you a delicious lunch in the event you wish to do so. 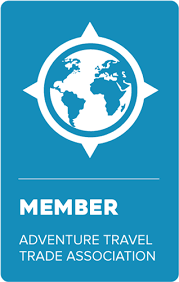 We are also equipped to provide customised services such as a safari for children, family safari, honeymoon safari, photography safari, vacation safari etc. This can be arranged at a nominal fee. Please note that although the tents are set up far from local villages, and even though this area is very quiet, the distant sound of a radio or temple chant may sometimes carry to the campsite. These occurrences are rare, but we would like to keep our guests informed in case such situations arise. The Big Game campsite is situated close to the oldest and largest National Park in Sri Lanka. 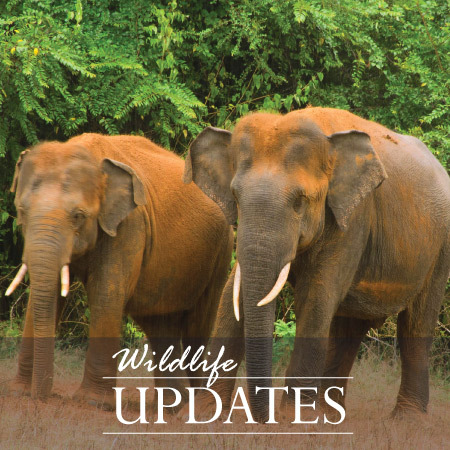 The Wilpattu National Park is known for its population of Sri Lankan Leopards, Sri Lankan Elephants, Sri Lankan Sloth Bears, and a host of other wildlife, all nourished by a rich ecosystem that includes a wide array of exotic flora and fauna. The campsite is located closer to the Southern Border of the Wilpattu National Park, on the boundary of a lake, and is surrounded by bush forest. We often serve meals near the lake where clients can be enchanted by the serenity of nature while enjoying scrumptious meals. You may also enjoy our Recreation Lounge & Common Area which has comfortable seating, board games and a mini library. The entrance of the Park is only 7km from the campsite, and is a matter of a 5 – 10 minute drive in a safari jeep. Please refer the map below to identify the exact location of the campsite. Very nice staff, beautiful atmosphere, clean tents. It is glamping rather than camping, we had much worse hotel rooms compared to this! During the night you can hear the nightlife close to your tent, lots of birds are seen during the day. Great experience! 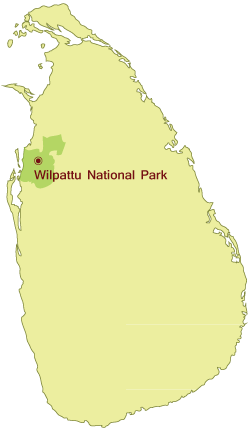 The Wilpattu National Park has a lot of ground to cover, being the largest national park in the country. 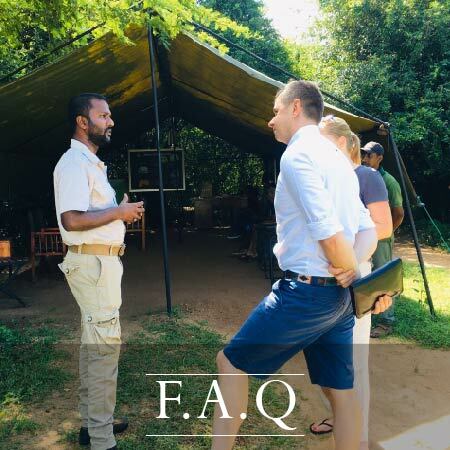 Getting to the heart of where the animal life is most concentrated is important in a safari trip; therefore you will need to choose an accommodation option that provides easy access to the park. We are in a perfect wilderness location bordering a picturesque lake, which enables you to take walking trails and night walks in the vicinity.